I cried, I laughed out loud .. what more could you want out of a book? I thoroughly enjoyed getting to know these characters! Boyd Calloway is going through a custody battle with his ex-wife after a nasty divorce. The last thing he needs or wants is to have a magnetic attraction to some woman, just after his lawyer has drilled into his head how straight and narrow he needs to be living his life so the ex will have nothing to hang over him in court. 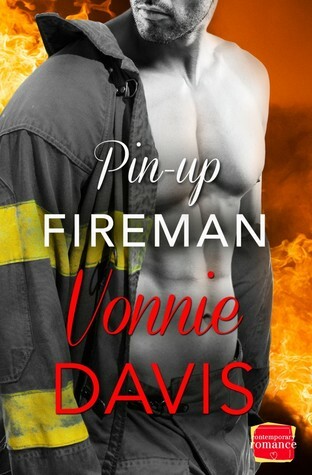 The second he walks in for his shift at the firehouse and sets eyes on Graci-Ella, he’s a goner. Instant attraction on both their parts. Graci-Ella Santana is a lawyer, hobbying as a photographer who is there to set up a photo shoot to make a Fireman Calendar for charity. After several interactions with each other, they decide to date. He’s protective of his son, who he has to keep number one in his life, and she’s consumed with working long hours at work to get ahead and make her parents proud. Watch their relationship grow as they support each other through life altering events. Issues with his son, hard rescues on the job for him, and a dangerous obsession spiraling out of control for her.